These are two, two-semester internships with a capstone event in October. We’re a eight-year-old company that lives in the intersection between corporate communications and event management. Our client list spans the length of the Fortune 500 from healthcare to insurance to technology. Well, like most internships, there will be shopping, filing and general chores to do. But unlike most internships, you’ll be a part of project work, research work, design work, client brainstorms, and even get involved in our web and social media projects. You will have the opportunity to get up off the sidelines and make an impact. You will get as much as you can handle, and may even travel to help us run events. We work hands-on, so expect to get your hands dirty and if you show us that you’re capable, we’ll be thrilled to give you more responsibility. Best of all? These are paid internships. Who is FLIRT looking for? 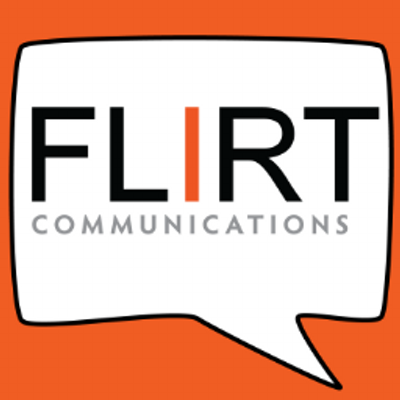 FLIRT is always looking for individuals who stand out in a crowd. Anyone can be exceptionally tall, but we’re looking for someone whose communication skills and creativity put them head and shoulders above the rest. Someone innovative with unique perspectives who isn’t afraid to be themselves. Given the various kinds of work interns do, we’re looking for smart, motivated, well-rounded college students who are looking to take ownership of something and carry it through to the end. We don’t care if you’re a poli sci major, a marketing major, a math major, or anything in between. Smart and responsible transcends your major. Experience and interest in event management and production is preferred. Learn more about applying for the Digital Marketing and Production Internship. Learn more about applying for the Graphic Design and Production Internship.